Select the thumbnail image above for larger sized photo which opens in a new window. 2nd Lieutenant Cecil James FREESTON. 7th Battalion Yorkshire Regiment. 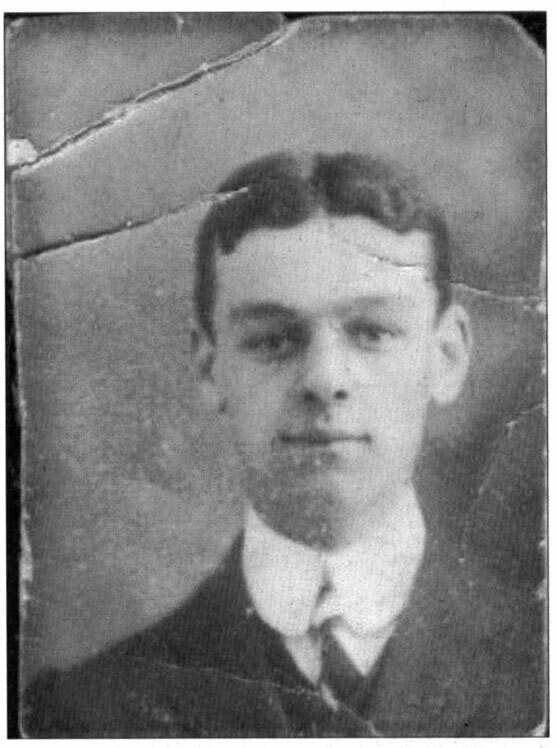 Son of E. J. Freeston, of 82, Conduit St., Leicester; husband of the late E. B. Freeston (nee Bunn), of Cook's Lane, Wigston, Leicester. Killed 18 September 1917. Aged 28. Buried SUNKEN ROAD CEMETERY, FAMPOUX. Quiet Day. At 8.30 p.m. two hostile trench mortar shells fell in the sap leading to bombing post on the left & killed 2/Lt Freeston and Sgt Marsden DCM MM....... Patrols went out as usual at night......"
2nd Lieuenant Freeston had first served as Corporal Freeston, 3/25436, in the Leicestershire Regiment before being commissioned from the ranks.